Sears Tower – Chicago’s largest skyscraper ! From the day I landed in Chicago, I desired to visit the Sears Tower sky deck. I wanted to see the city from the tower top. My dreams were fulfilled. We got a wonderful opportunity to enjoy the view of this windy city from the sky deck of the Sears Tower. Sears Tower is one of the seven wonders of Chicago! It is the tallest Chicago skyscraper consisting of 110 floors. 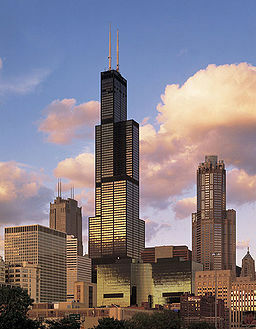 Sears Tower is now the fifth tallest building in the world (Source: Tallestbuildingintheworld.com). Sears Tower was built in 1974. It took 3 years to complete the construction of this majestic building. Over the past 10 yrs, many new skyscrapers, all over the world have surpassed the Sears Tower in terms of height. Nevertheless, Sears stood unbeaten, holding the title “World’s tallest Tower” for a period of 30 yrs!! Designed by Fazlur Khan, the architecture of Sears tower is based on bundled tube system of structural engineering. Imagine 9 individual skyscrapers of various heights bundled together. That’s how Sears Tower looks. 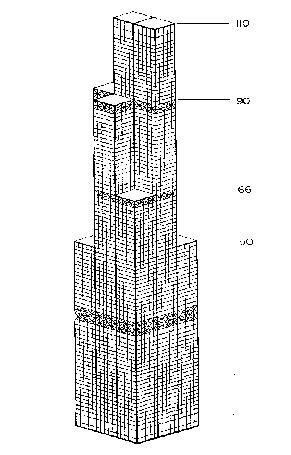 Sears Tower consists of a bundle of nine square tubes. All the nine tubes (skyscrapers) reach up to the 49th floor. At this point, two of the outer corner tubes terminate. At the 66th floor, the other corner tubes terminate. Three more tubes terminate at the 90th floor. The remaining two tubes reach the full height of 1450 ft.
Sears Tower looks different from each angle. This bundled tube structure provides it the strength to withstand the strong winds of this windy city, Chicago! The sky deck admission costs $12.95. We had to wait in a queue to get into the elevators to reach the observatory floor. I have to mention about the elevators. It took just one minute to reach the 103rd floor (the sky deck observatory). These elevators operate at 1600 ft/min! Here are the few snaps that we clicked from the tower top. On a clear day, we can see the neighboring states Indiana, Wisconsin and Michigan from the Sears Tower sky deck! It was a splendid experience to stand on the top of the tower and take a bird’s-eye view of the city! Visiting Chicago? 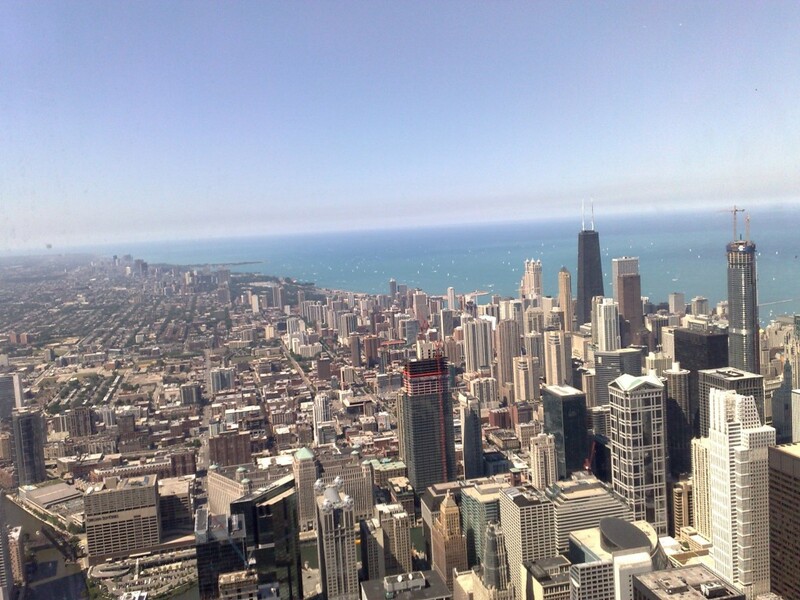 Don’t forget to catch the glimpse of this beautiful city from the Sears Tower sky deck! I missed it! Last year during Feb, I had a chance to stay at Indianapolis, Just close to Chicago for a week’s time. 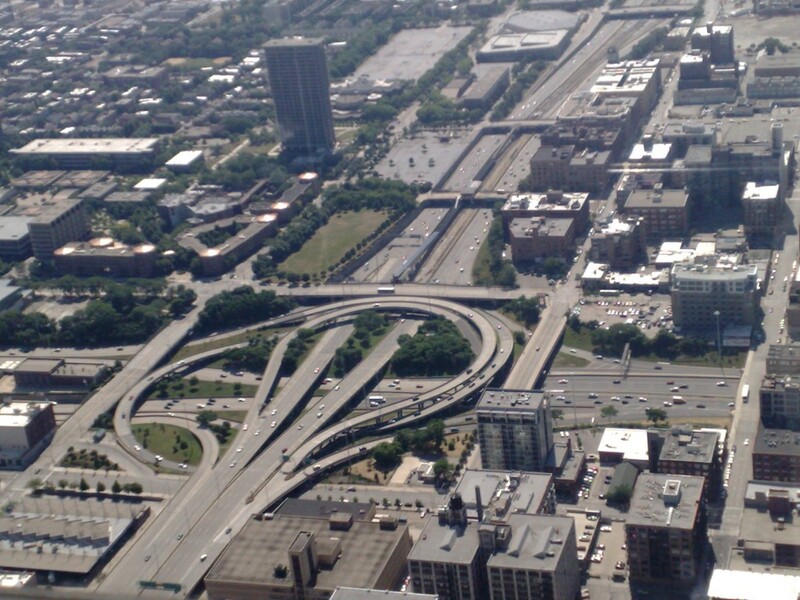 The day we visited chicago, we had plans to go up the sears tower and view the city. But, Unfortunately, visibility was too low and it was bitterly cold that day. We just Visited the cloud gate at the millenium park and then to Navy piers. Wow nice piece of info buddy! Very interesting post. Nice photos as well. The views truly look very nice. It’s interesting to note that on a day when visibility is very low people working on floors 60 and below cannot see the ground due to the fog and mist. People on the ground cannot see the top half of the tower and the view looks surreal. Oh wow! planning a trip? Welcome to Chicago We shall surely take u to the Sears Tower Skydeck. WOW This is amazing i have been to the sears tower its very cool!